Do not miss your chance to get #AWalkerBrothersNovel by Bestselling Author #JSScott. C.J. Pinard has triumphed again with this fantastic fantasy paranormal romance series, Rebel Riders. Soul Release is the third and final instalment of this brilliant urban fantasy, and is released today! I am sorry to see the end of this series as it had me gripped from the beginning to end. The way it is written, the atmosphere created, the flawed characters and general adventure, with mystery, suspense and romance, has certainly made this a 5* read that I hope many of you will enjoy! Wow! What a ride of adventure, mystery and action has C.J. Pinard taken us on? 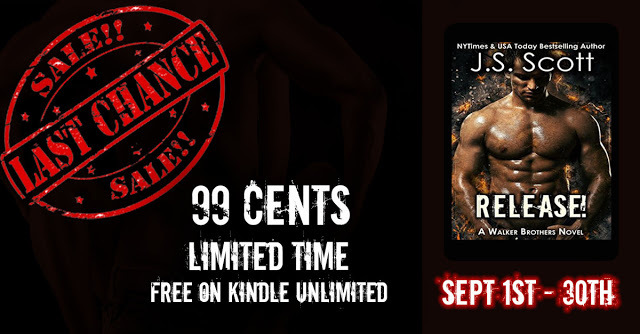 The Rebel Riders series has been one of the most gripping urban fantasies I have read in a long time! The atmosphere created in all three books is amazing. I love the darkness, the eeriness, the mystery and suspense as we hope that there is a way for Nolan to end the life of the red-headed succubus twin sister of his girlfriend, who has taken his soul and left him neither human or vamp, but somewhere in between the two. The series has become darker still, with Eva, the succubus, kidnapping her twin sister, Charity, and then pretending to be Charity, trying it on with Nolan in order to completely take his whole soul for good. The reader’s suspense will grow to a great height during these early scenes of the story, as we all hope that Nolan can see through Eva’s treachery. The opening paragraphs of the very first chapter are very informative as we follow an old vampire businessman, Joel Reichert, as he tries to find out more about the Justice Department’s BSI (Bureau of Supernatural Investigation). Joel has been around a long time, but has only now learned of the department’s existence after talking with Nolan. These paragraphs also are a great way to recap readers of the previous books, and I love how the author does this at the same time as moving the story forward. This is just the onset for a suspenseful first chapter! “After his meeting with succubus victims, Nolan and Kovah, he (Joel) had learned that the federal government had their very own branch of the Justice Department whose sole purpose was to monitor people like him – vampires – along with the other supernaturals in the world. As the story moves on and Nolan realises that Charity is missing, his gut tells him that she has been taken by Eva. The last time he spoke to Charity she had been annoyed with him for going off to New Orleans. Now all he wants to do is find her and tell her how sorry he is for leaving her, even if she is still mad at him. He just wants her to be safe. Likewise, Charity is hoping so badly that Eva hasn’t killed Nolan. She wants to make things right between them. But, how will she ever get to deal with any of that being tied to the bed in the desolate mansion, in the middle of nowhere. Despite both of their fears, and love they have for each other, they are both at the point were they feel complete hatred for Eva, with both of them visualising her being killed. Charity wonders about leaving Eva out in the sun, or maybe killing her with a stake. While Nolan thinks about stabbing her whilst watching the blood squirt from her chest. This shows his slight vampire tendency here, especially with the choice of words that the author uses. He not only enjoys this thought in a vengeful manner, but contemplates how her blood will leave her body. There is also a dark fairy-tale element, with Eva (the bad witch) locking Charity (the princess) upstairs in the old, swampy mansion (tower). Of course, Nolan is the hero-to-be that we all hope for in releasing Charity and killing Eva. I love this fantastic simile. It is one that grabs the attention of most, it simplifies an otherwise very dark and more mature read, drawing attention to a wider audience, at the same time as provide the reader with hope. Even Kovah refers to Nolan as a hero when giving him a pep talk. But, is it really going to be that easy? Nolan could do with all the help he can get. Bringing in Kovah, the Rebel Riders, and even Joel Reichert could mean all the difference for him to save Charity and be rid of Eva once and for all. However, behind the scenes the Rebel Riders are always going to be out to kill any vamp they can get their hands on, believing them all to be monsters and a danger to all humans. Surely it is best to be rid of them all? Joel is in a vulnerable position, without realising it. And, with a disagreement at a bar with Kovah, Nolan leaves by himself. Will he be able to take Eva’s group down alone? Will he get to Charity? Or, will Eva manage to get her hands on him again? In book 2, Soul Redemption, we were introduced to a brilliant character in Kovah. He was so similar to Nolan, but against him for the same reasons. They overcame their differences and became friends. It would be a shame for that to be thrown away over a stupid argument! Now, in Soul Release, the reader is subjected to another new character in Janice. Janice is a super character, who also adds a little fun and ‘relief’ to the otherwise dark story content, albeit still a mature read. “The walls were blood red and he could see some type of swing made of leather hanging from the ceiling. There was also a wall of medieval-looking weapons and torture devices that took up the entire east wall…. … She gently grabbed his arm and smiled. This series is very addictive. C.J. Pinard has gone from strength to strength, and the Rebel Riders is certainly my favourite series yet. Lovers of her work will surely be calling out for more from this author, and hopefully it won’t be too long before we can read more from her again! 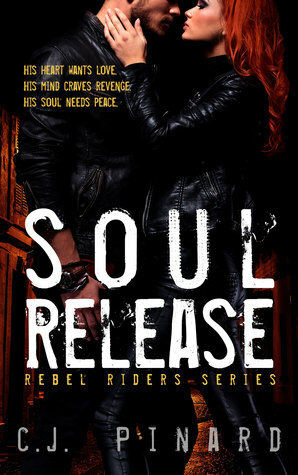 Soul Redemption (Rebel Riders #2) by C.J. Pinard is available at Amazon US and Amazon UK. You can also find my review of C.J. 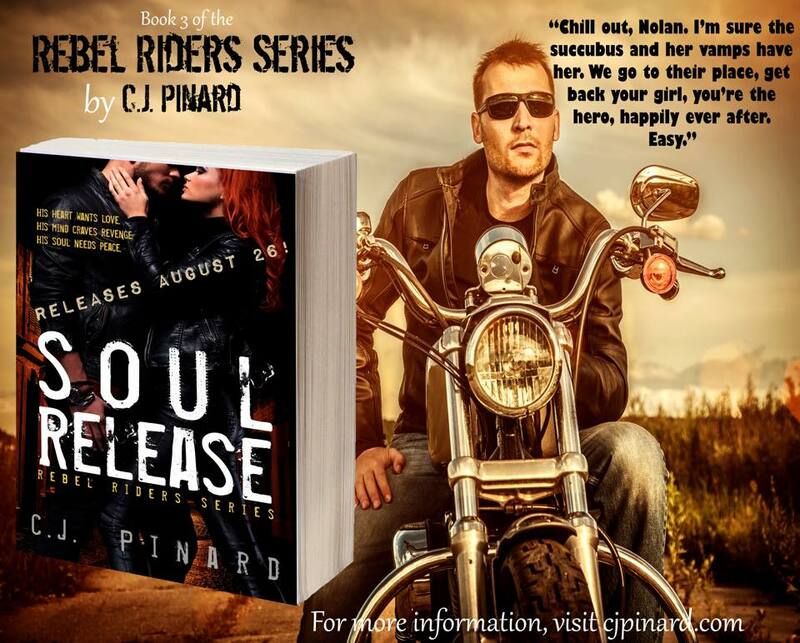 Pinard’s Soul Rebel (Rebel Riders #1) here, and Soul Redemption (Rebel Riders #2) here. C.J. is a west coast native who has lived on both coasts and now lives near the middle, in Colorado! Coming from a family of writers and editors, she feels writing is in her blood and hopes people will lose themselves for a little while in the fantasy and fun of her stories. She also loves sweet red wine, the SF 49ers, and unlike most authors, doesn’t have any cats (allergies!). 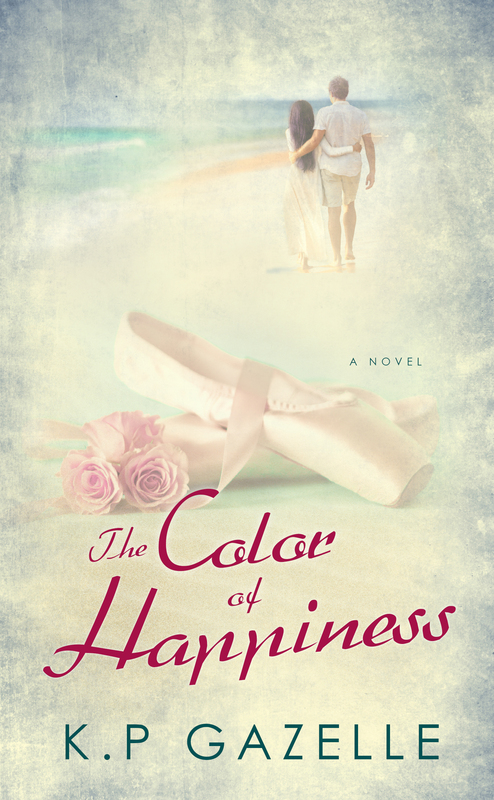 When she’s not writing, she can be found chasing around her kids or working at her day job, which she totally feels interferes with life, but it also gives her inspiration for her books, since reality is sometimes way more interesting than fiction.